Learn how to Transfer Music from iPhone to iPhone 5. Find iMobie experts advice on Music from iPhone to iPhone 5 with ease. Thank you for helping. I have iPhone with a bunch of music on it. And last week, I have got a new iPhone 5 saved onto my computer with iTunes. I am trying to transfer music from iPhone to iPhone 5, But I can't figure out how. I'm very frustrated that iTunes just doesn't allow me to transfer my own music from iPhone back to computer. 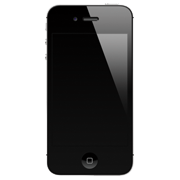 In most cases, iTunes is the native music manager program for populating iPhone 5 multimedia content. It's pretty enjoyable to use iTunes to import music onto iPhone 5. But if you want to transfer music from iPhone to iPhone 5, you have great chance to get mad with iTunes. So this iMobie Guide aims to tell about how to transfer music from iPhone to iPhone 5 with AnyTrans. 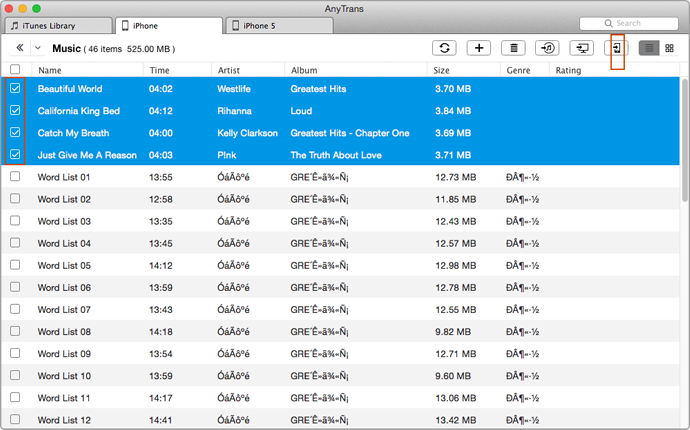 To transfer music from iPhone to iPhone 5, you need a handy and all-around Trasnfer tool. Here's our recommendation: AnyTrans for users. 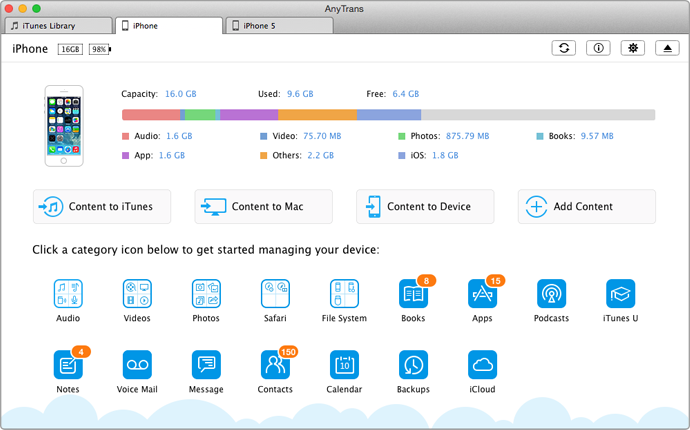 No matter you want to add content from iPhone or from computer to iPhone 5, AnyTrans can help you breezily get it done with one single click. 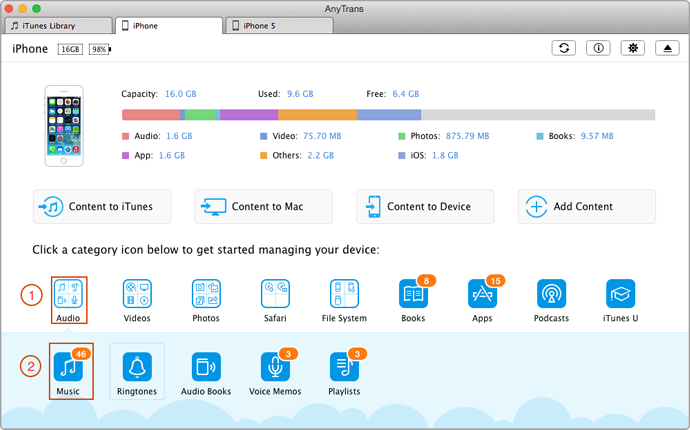 With the friendly interface of AnyTrans, it is a great iTunes Alternative for iPhone/iPad/iPod management. Keep target music files highlidghted and click To Device (Or you can right click the mouse and select To Device). Then AnyTrans will help you instantly move music from iPhone to iPhone 5.